Two weeks after renewed US sanctions against Iran, it appears trade credit insurers are winding down the little business they had reinstated in the country since 2016. US President Donald Trump’s decision to reimpose sanctions for non-US persons doing business with Iran, just over two years after they were officially lifted, came as yet another blow to the hope for commercial normalcy in the country. 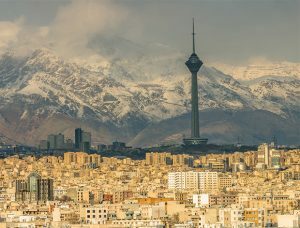 Since the implementation of the Joint Comprehensive Plan of Action (JCPOA) – also known as the Iran nuclear deal – in January 2016, many global companies worked to resume activities with their Iranian counterparts, and trade insurers reopened their Iranian cover to support this business. Now, reports have emerged about the difficulty in continuing to provide insurance lines for the country. In a Reuters article, Lloyd’s of London chairman Bruce Carnegie-Brown said the re-imposition of sanctions meant insurers “probably” would not be able to process Iran-related business through the Lloyd’s IT platform. Meanwhile, oil tankers have also expressed fears of not being able to access ship insurance. Speaking to GTR, Katayoon Valizadeh, a senior consultant in credit insurance and risk management in Tehran, says she has seen first-hand the withdrawal of most trade insurers from Iran as a result of the sanctions. “After the announcement of the US sanctions, all private credit insurers who had some interests in dealing with the US stopped their cover on Iran. Now as far as I know, only export credit agencies (ECAs) continue to give cover to Iran,” she explains. Technically speaking, cover cannot be cancelled retrospectively, so companies should be able to use the insurance they have already subscribed to in case of default due to the re-implementation of sanctions. Rob Nijhout, executive director of the International Credit Insurance & Surety Association (ICISA), explains: “As far as I am aware sanctions do not apply retroactively, so any delivery prior to new sanctions is subject to the pre-sanction situation. If goods or services were delivered in line with policy conditions, namely in an insured manner when cover was in place, any non-payment resulting from that is covered and paid by the insurer. If exports are made after cover has been withdrawn, either on a buyer or on a country, these are not insured and cannot be claimed if a non-payment occurs.” Based on local observations, it shouldn’t take too long for insurers to wind down their Iranian business, because they are largely only involved in short-term deals, explains Valizadeh. “Some of the big credit insurers, which had claims on Iran because of the blockage of channels of payments due to ex-sanctions, could all recover all their debts [after the JCPOA]. So they reopened their cover for Iran. But on the whole, both businesses and insurers had a tendency to be involved in short-term, rather than medium and long-term transactions or projects.” Statistics on the amount of trade credit and political risk insurance cover in Iran since 2016 are hard to come by, as insurers do not report country-specific data to a central organisation such as ICISA. Individually, representatives from JLT, Lloyd’s, Marsh, Willis and Gallagher all declined to comment on this story. The reticence could suggest that credit insurers are fearful of Trump’s harsh rhetoric against Iran. Talking to the current levels of insurance cover in Iran, Arash Shahraini, board member and deputy CEO of the Export Guarantee Fund of Iran (EGFI), says that he while he observed the return of large private credit insurers in the past two years, it was “not as fast as expected after the JCPOA”. He believes this is because European banks continued to be cautious of working with Iran, despite – in theory – being allowed to do so under the Iran deal. As a result, there has simply not been much business for credit insurers to cover. According to him, the majority of bilateral finance agreements signed between Iran and other nations since the JCPOA, which totalled over US$30bn, “have not been practically implemented due to banking problems”. Iranian companies that have made use of private insurance will now have to turn to other options, such as ECAs. “Right now, I am in the process of negotiations for some transactions and projects for getting cover from ECAs for Iranian projects and transactions,” notes Valizadeh. And while trade with large corporates with interests in the US will likely be interrupted, trade between smaller regional companies still presents opportunities, albeit banking issues will make this trade mostly cash-based, and a lot more expensive. Valizadeh’s consultancy, for example, is currently working with Iranian SME importers to help them build a credit profile and negotiate credit terms with foreign sellers. On the export side, Iranian credit insurers, as well as EGFI, are still extending cover for transactions, both letters of credit and open account. “Iranian traders will find appropriate ways to continue business with their international counterparts, but the costs of foreign trade transactions are expected to increase considerably,” adds Shahraini. The post Trump’s sanctions halt trade credit insurers’ return to Iran appeared first on Global Trade Review (GTR).